Wildfire Financial Group provides you with the level of assistance you need. Just beginning? We can walk you through the steps you need to consider for your future. Been saving for a while? 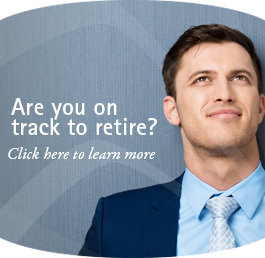 We can help you look at the many options that are available for investing in your future. Wildfire Financial Group has been associated with Wildfire Credit Union for over 20 years and can provide you with financial guidance for all your investment needs. We will work with you to identify and establish your plan, assess what you are doing right now, and determine how to best build your plan for the future. Do you have a plan for accumulating your retirement assets? Are you prepared to fund your children’s education? What is your process today for managing your investments? Have you created a strategy for making your retirement income last? Wildfire Financial Group is here to assist you in answering these and other financial planning questions. We are located at Wildfire Credit Union’s Bay Road Office in Saginaw, Michigan and are ready to help you determine what works best for you when considering the life events. In addition, we will help you make sound financial decisions consistent with your risk tolerance, investment timelines and goals. We do this by meeting with you to develop and/or fine-tune your personal plan. We monitor your financial goals by meeting with you on a regular basis and making improvements and modifications to your plan as needed. Securities sold, advisory services offered through CUNA Brokerage Services, Inc. (CBSI), member FINRA / SIPC , a registered broker/dealer and investment advisor. CBSI is under contract with the financial institution to make securities available to members. CUNA Brokerage Services, Inc., is a registered broker/dealer in all fifty states of the United States of America.